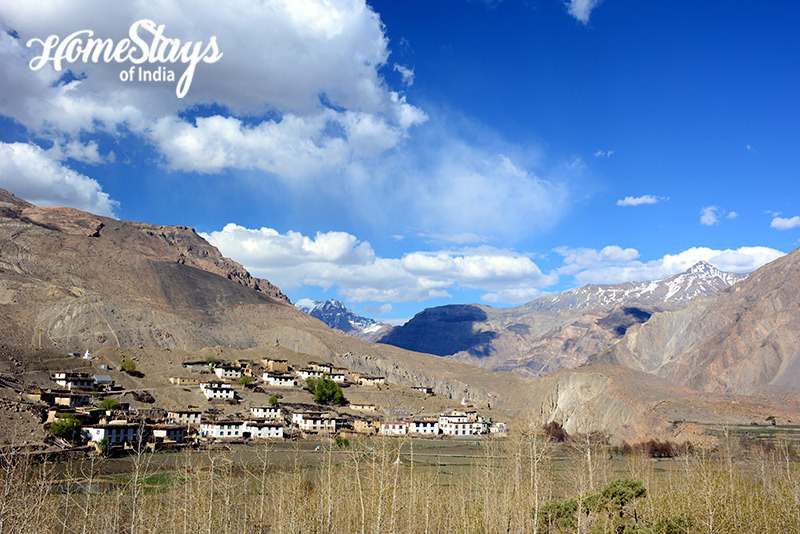 Mane is one of the remotest, unheard and offbeat but prettiest and fastest growing travel destinations of Spiti. 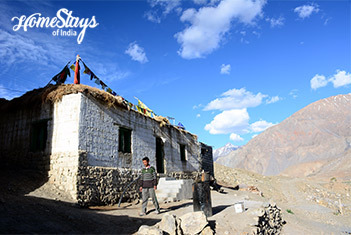 Divided in Mane Gogma (upper Mane) and Mane Yogma (lower Mane) which is located on the other side of valley, it is located 31 km south Kaza at an altitude of 9540 ft. To reach the village you have to go 13 km from Tabo toward Kaza, take left from Mane Bridge to cross the river and a 6 km winding unpaved uphill road will take you to Mane. It has 90 houses, residing population of 750 and a higher secondary school. 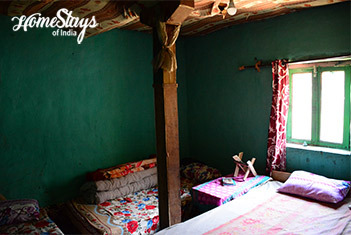 Time spent at Mane homestay will give you an opportunity to see that when people are left to live as they have for thousands of years, then we have more to learn from them than they from us. 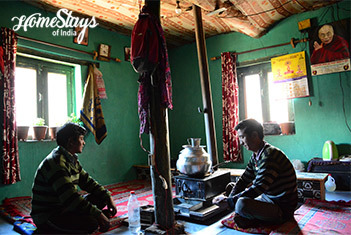 Mane Homestay is the brainchild of Lobzang and her husband Sonam Chhering. It has 2 big rooms. First room can occupy 4 people, where another has a low floor setting which is good enough for 6-8 people. Two common toilets are made outside. Labzang is a very cool and hospitable lady. Though she is not very educated but she speaks good English. May be her passion of knowing different culture has taught her. Take a village tour with Lobzang, and join her as she heads out into the field. All guests eat in the traditional kitchen. Labzang serves Tibatan Bread stuffed with egg and tea. Parantha with butter, curd or milk tea is a common breakfast. Other possibilities are Omelet, Thupka and Tsampa. Dinner can be Momos, Timo, Roti, Dal, Rice and mix veg. Non-veg can be made available on demand. We remain open in winter even when temperature goes well below -20 degree. We will keep you warm and comfortable and provide hot freshly cooked food. Manirang Lake trek (2.5 km).